In the present day, an informant named Enzo has joined up with Bayonetta, a witch who was revived twenty years ago from the bottom of a lake and has no memories of her past. Owning one half of the "Eyes of the World", Bayonetta leaves for Vigrid when Enzo informs her of rumors the other half is there. 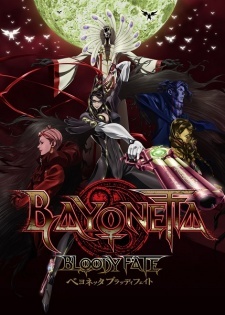 Watch Bayonetta: Bloody Fate Episodes Online at Animegg.org. Bayonetta: Bloody Fate is available in High Definition only through Animegg.org. Choose an episode below and start watching Bayonetta: Bloody Fate in Subbed & Dubbed HD now.